MATAMOROS, Mexico — The number of unaccompanied children who were apprehended or surrendered to law enforcement on the southwest border dropped by more than 40 percent in the fiscal 2015 year, according to updated federal statistics. But one border lawmaker says that figure doesn’t tell the whole story, as the total number of children surges to more than 60,000 when those who crossed with at least one parent are added to the totals. 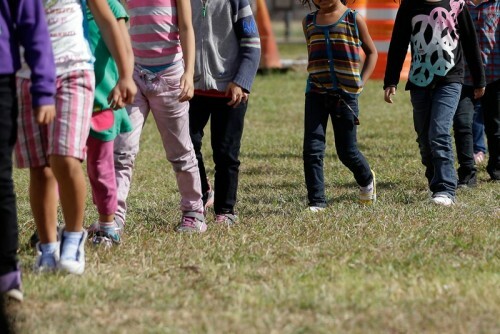 About 40,000 children entered the country illegally during the time period that began Oct. 1, 2014 and ended Sept. 30. It’s a drop from 2014’s 68,445 during the same timeframe. The majority of the children are from the Central American countries of Honduras, El Salvador and Guatemala. The majority of children — about 23,865 — crossed through the U.S. Border Patrol’s Rio Grande Valley sector in 2015. That’s down from the previous year’s total of 50,000, which prompted the state’s Republican leadership to dispatch a multimillion-dollar buildup of state law enforcement to the area in the summer of 2014. That was followed up this year by legislation that appropriated a record $800 million for border security and facilitated the hiring of 250 additional Texas Department of Public Safety troopers in the Rio Grande Valley. Cuellar’s insistence that the problem isn’t going away separates the Laredo Democrat from the rest of his colleagues from the border region. In 2014, Cuellar and U.S. Sen. John Cornyn, R-Texas, unsuccessfully championed legislation that would have made the Central American youths immediately deportable. That’s in contrast with the current practice, in which the children must first be screened by the U.S. Department of Homeland Security before being handed over to the Department of Health and Human Services and the Office of Refugee Resettlement (ORR), which places the children with a relative or guardian until they appear before a judge. Cuellar has argued that the process results in children waiting several years before they see a judge, which some lawmakers have criticized as de facto amnesty. The new data comes the same week that Mexican officials said they are bracing for an increase of returning immigrants from the U.S. who have been deported after being convicted of various crimes. Officials at a repatriation station in the border city of Matamoros said they expected about 135 deported immigrants to bused here this week. The station’s officials help the immigrants procure documents they may have lost or have had taken and try to connect them with family members or other acquaintances. On Tuesday night, Rosalva Dominguez, who operates a Catholic migrant shelter in Matamoros, said she was preparing for a busy month. She never knows how many immigrants might show up at her doorstep on a given night, she said. But she said they are welcome there while they get settled and make up their minds on staying in Mexico or migrating back to Central America. Some of the migrants are also intent on trying to cross back into the U.S. once they save enough money to pay a smuggler to take them back. – Julian Aguilar, Texas Tribune. This story originally appeared here. Jay Root contributed to this report. This entry was posted in KRTS News and tagged Border, Border Patrol, Border Policy, Congress, Henry Cuellar, Immigration, Unaccompanied Minors. Bookmark the permalink.